Home Football Bundesliga What Makes A Winning Football Accumulator? What Makes A Winning Football Accumulator? 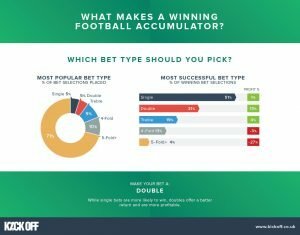 As the new season gets underway a leading football betting community has published the results of its analysis into what makes a successful football accumulator bet. 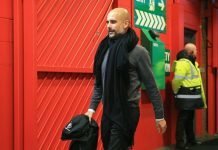 Football predictions community KickOff.co.uk analysed 1.5 million betting selections placed via its site over the past two seasons to understand the most successful leagues and markets, as well as the optimum number of selections to place in an accumulator. The Premier League proved most popular with punters across the 2015/16 and 2016/17 seasons but wasn’t the most successful by some margin. The Dutch Eredivisie League had the highest percentage of winning selections (64%). By comparison, bet selections in the Premier League and Championship won an average of 56% of the time. The Premier League and Football League accounted for 50% of all bet selections. Top European leagues – Serie A, La Liga, Bundesliga, Ligue 1 – attracted 34% of all selections and second tier European Leagues – Scottish Premier League, Dutch Eredivisie, Danish Superligaen, Portuguese Primeira Liga, Turkish Super Lig – 16% of selections. 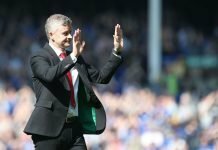 Despite being the third most popular, second tier European Leagues were most successful, with top European leagues second and English leagues third. 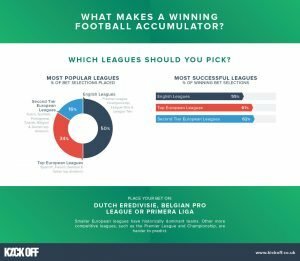 KickOff is a crowdbetting platform that combines algorithmic football predictions, form data and odds comparison with the ability to copy other bettors. The site helps punters put coupons together and compare odds before choosing a bookmaker to bet with. During the past two seasons, single bets (one selection) have won 51% of the time, doubles (two selections) 31%, trebles 19%, 4-folds 13% and bets with five selections or more have won 4% of the time. Bets with two selections were the most profitable, yielding a 13% profit across the two seasons. Despite that, coupons of more than five-folds were most popular, with 71% of bets placed on the site having five selections or more. 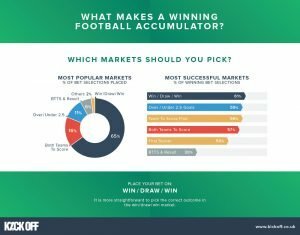 When it comes to betting markets the Win/Draw/Win (a home win, draw or away win) market has proved most fruitful for bettors, with 61% of selections winning. 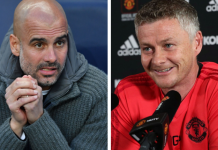 It is closely followed by Under/Over 2.5 Goals (betting on either two or fewer goals to be scored in a game, or two or more) and Team to Score First (betting on whether the home or away team will score first) selections, which both have a 59% win rate. 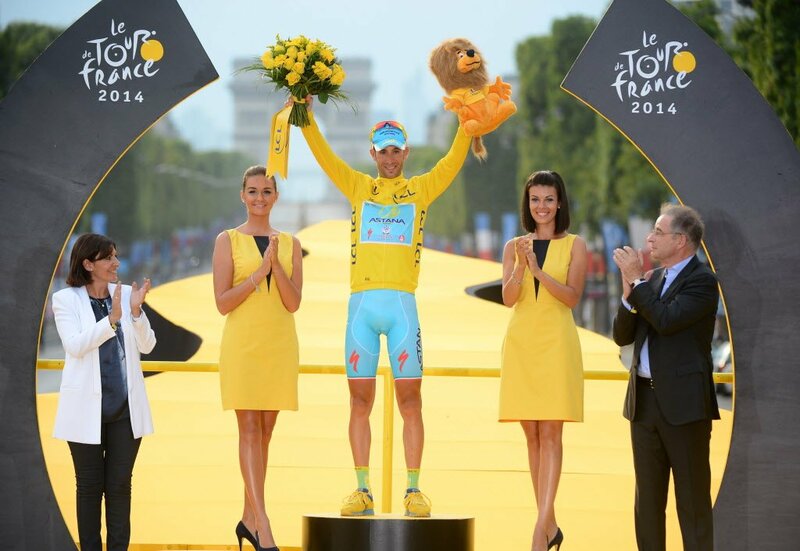 Win/Draw/Win is also most popular, with 65% of all selections picked from the market. Both Teams to Score (betting on whether or not both teams will score) is second most popular, with 16% of total selections in this market.